passion for excellence, a focus on innovation and attention to detail and quality in everything we do. The warm, inviting atmosphere and family-focused attitude found in every Pappas restaurant started well before the Pappas brothers opened their first restaurant in 1976. It all began with their legendary grandfather, H.D. Pappas. He left Greece in 1897 and traveled to America to pursue his dreams. He brought with him a passion for quality and service that became the benchmark of his success as he opened restaurants throughout Tennessee, Arkansas and Texas. It was this same dedication to quality and service that H.D. passed down to his sons and grandsons. His sons, Pete and Jim, chose a different path than their father and entered the restaurant equipment and supply business. They opened Pappas Refrigeration in 1945. It wasn’t until 1976, when Jim's sons, Chris and Harris, following in their grandfather's footsteps opened their first restaurant, bringing the family’s American dream full circle. One of the things that make Pappas Restaurants different from other restaurant companies is that Pappas not only run our restaurants to feed our loyal Guests day in and day out, we also own and drive the trucks that deliver the freshest meats and seafood to our restaurants every day. We employ the electricians who keep the lights on and the kitchens humming. We even make our own chairs for the dining room floor! We make, own and operate almost everything we need to ensure we continue to serve only the highest quality products in a comfortable environment that keeps Guests satisfied and coming back time and time again. This type of business organization is called "vertical integration," and it helps us ensure there's never a holdup in the process and that we provide the absolute best for our Guests. Harris and Chris still lead the chain of Pappas restaurants with more than 80 locations in seven states, throughout Texas, and with locations in New Mexico, Ohio, Georgia, Illinois, Arizona and Colorado. Based in Houston, the still privately-owned and operated business is a highly respected leader in the industry nationwide. Pappas Restaurants are known for outstanding food, exceptional service and an atmosphere where people go to be treated like Guests; to be entertained and to enjoy great food with the Pappas trademark of quality. With warm, inviting atmospheres, big, open layouts and exciting themes to each concept, Pappas offer a range of cuisines, all served in generous portions by our highly trained, attentive wait staff. The success has been built on the same principles that grandfather H.D. Pappas brought with him to the New World: a passion for quality food and service, careful attention to detail, and a determination to treat every person that walks through the door as a welcome Guest. Pappas offers something for everyone. Guests can enjoy Pappadeaux Seafood Kitchen for fresh seafood and Louisiana-style favorites; Pappasito’s Cantina for legendary Tex-Mex; Pappas Bar-B-Q for the best slow-smoked, pit barbeque around; Pappas Bros. Steakhouse for prime, dry-aged steaks in an exquisite, fine dining environment; Pappas Burger for a mouthwatering, Texas-sized, prime beef burgers; Yia Yia Mary’s Greek Kitchen for unique, flavorful cuisine from the Mediterranean; Pappas Seafood House for the freshest Gulf Coast seafood around; and Dot Coffee Shop for comfort food 24 hours a day. We're a family owned and operated restaurant company, which means our core values have been passed down from generation to generation. We're constantly focused on innovation, attention to detail and quality in everything we do. Over the years, our steadfast values and top-notch team have kept prospective employees seeking us out and satisfied Guests coming back. To us you’re family, and we’re out to prove it every time you visit. When you step through our front door and the sights, scents, and sounds of Pappasito's — the original Tex-Mex cantina — hits your senses, you know you're in for an experience like no other. The flavor, freshness and presentation of the food at Pappasito's are beyond anything you'll find anywhere. Only the highest quality produce, meat, and fish make it to your table. Our tableside guacamole is made with the finest avocadoes, onions, peppers, and tomatoes that only make it in if they pass the "Coke can red" test. Our legendary fajitas marinate in our special recipe before reaching smoky, sizzling perfection on our mesquite fired grills manned by our extensively trained grill masters. Of course Tex-Mex isn't Tex-Mex without drinks as cool as our grill is hot. Are you a purest? Have our expert bartender pour you a shot from our extensive tequila selection — from everyday blancos to hard-to-find top shelf añejos. 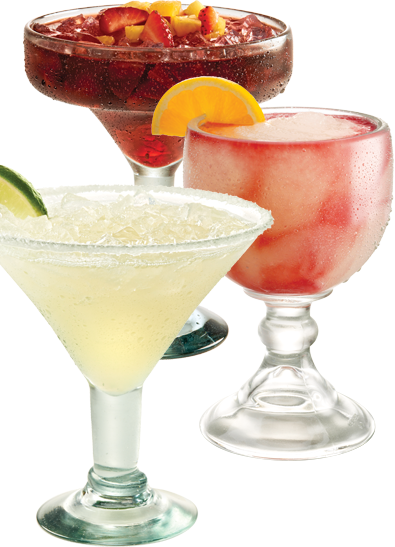 Or have them blend that shot into one of our signature handcrafted margaritas. Explore the true meaning of tingling taste buds with our signature sangria. And of course our selection of cervesas, wines, and standard cocktails never disappoint. If that's not enough to send your mouth into a watering frenzy, turn your taste buds to our seafood selection. At Pappasito's the only thing we might be more famous for than our fajitas and drinks is the out-of-this-world selection of fish, shrimp, calamari, and ceviche all prepared in true Tex-Mex style, sizzling from the grill or chilled to perfection, surrounded by colorful and delicious veggies and sides. 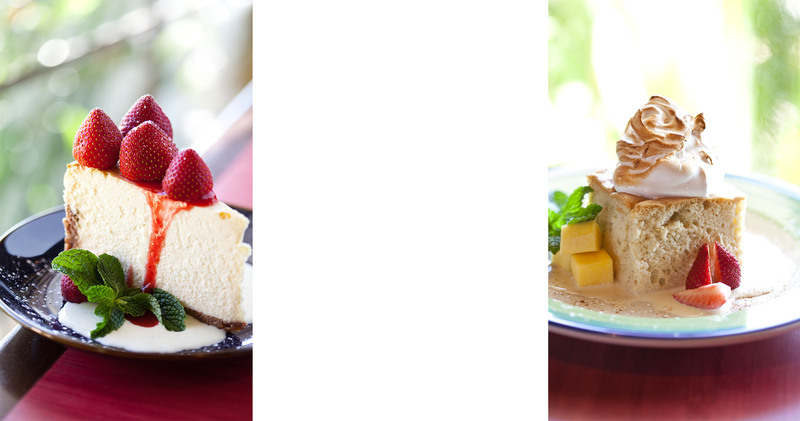 Top it all off with made-daily deserts that might just make your head spin and you may have just found Tex-Mex heaven. It all happens in the most beautiful, vibrant, traditional, and fun dining rooms north of the border, filed with happy Guests and a staff that can't stop smiling, they love their jobs so much. Bring your friends, family, and an empty stomach to Pappasito's and let us show why no one in the business can come close to delivering the experience we can!